Xero is oft-praised cloud-based accounting software that has been on the market since 2006. It boasts more than 1.2 million subscribers and takes pride in providing simple and powerful accounting tools primarily designed for small businesses. In this Xero review, we explain how this innovative software works and what it can do for you. The main goal of Xero is to allow small business owners to keep track of their cash flow, better organize their finances, and streamline tasks while saving time and effort by keeping tax-friendly records. What it manages to do perfectly is make accounting matters understandable to non-accountants. From easy-to-use tools that facilitate invoicing, reporting, paying bills, managing inventory, expenses, and projects, and tracking time to useful resources and straightforward pricing, it has done everything possible to make matters simple for the users. As an online accounting solution, it allows its users to manage their finances directly from the web, securely and efficiently. Furthermore, it offers mobile apps for iOS and Android, allowing users to handle everything on the go. 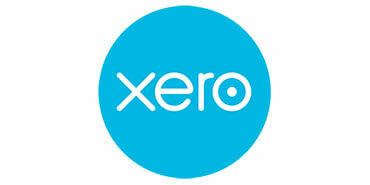 Xero offers excellent solutions for the accounting needs of various types of small businesses. It is suitable for retail, e-commerce, and IT businesses, non-profits, legal practices, food and beverage businesses, Amazon sellers, cafés, startups, construction and trade businesses, creative agencies, small businesses that operate globally, and virtually any other small business that needs an easier way to manage accounting tasks. Xero has a great partner program for accountants. By becoming Xero partners, accounting professionals get to have their practices listed in the Xero advisor directory, which allows them to get new clients more easily. With each new client, Xero partners get points that bring them rewards, such as free software, education, and marketing support. By collecting points, members also get to improve their partner status level, ranging from partner to premium partner. The top-performing partners receive awards that boost their reputation. All members get to attend exclusive Xero events organized within Xero’s annual conference, Xerocon. Any accounting software is only as good as the tools and features it offers. 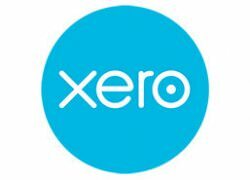 In this section of our Xero review, we introduce you to the full range of options this software provides. Accept payments – add PayPal, Stripe, and other popular options as accepted payment methods and make the payment process easier for you and your customers, allow clients to pay through their iOS devices with Apple Pay, and effortlessly manage credits and refunds. Asset management – track your business assets, sell and dispose of fixed assets more easily with automatically generated accounting journals, and know the value of your assets at any time. Advisor tools – if you are an accountant or a bookkeeper, you can become a Xero advisor and gain access to useful tools and resources like cash coding, the popular Find And Recode feature, fixed asset management, report templates, and uncoded statement line reports. Bank connections – connect to your bank and have your transactions automatically and securely imported into Xero each business day – this allows you to have all your transactions in one place and save time during tax season with smart categorization. Bank reconciliation – with Xero connected to your bank, you can quickly reconcile your transactions with smart suggestions from Xero and set up rules so your transactions can be automatically matched to existing invoices and expenses. Business performance dashboard – track performance with well-designed charts and graphs available within the business performance dashboard. 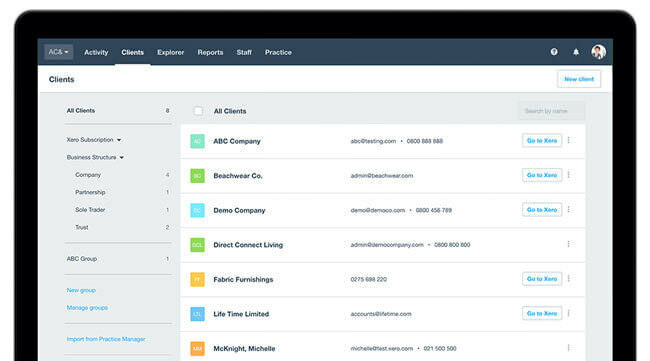 Contacts and smart lists – with Xero, you can have a complete insight into your customers’ transaction history and exchanged emails, easily import multiple contacts, and organize contacts into smart lists based on a variety of factors including invoice amounts and buying behavior, thus setting a foundation for successful email marketing campaigns. 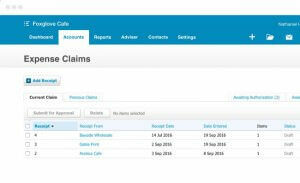 Expense claims – record, claim, and approve expense claims with handy expense claim software. Files – securely store, manage, and share files online. Inventory – view your best-selling products, keep track of stock quantity and value at all times, and import items more quickly with bulk importing. Invoicing – create and send customized invoices, send invoice reminders automatically, and protect your invoices with two-step authentication. Multi-currency accounting – accept payments in more than 160 currencies and easily adjust your invoices, quotes, and orders with automatic currency conversions. 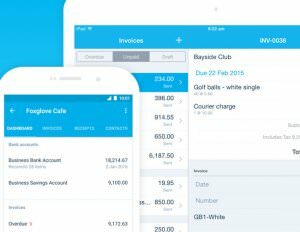 Pay bills – pay multiple bills in a single transaction, schedule payments, keep track of outstanding bills, receive and store bills online, replicate bills, and more with Xero accounts payable software. Purchase orders – create purchase orders and quickly convert them to bills or invoices. 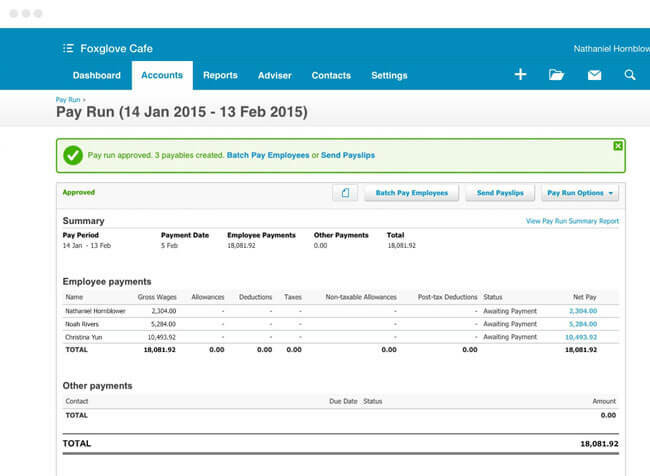 Pay runs – feed pay run information to Xero, automatically create pay run journals, and email or print payslips for employees in seconds. Projects – track time and expenses, create customized invoices, and monitor performance on each of your projects. Quotes – create and send personalized quotes, keep track of quote status, and turn quotes into invoices. Reporting – prepare, customize, view, and share more than 40 types of interactive reports and budgets. Sales tax – add as many multi-component tax rates as you need for charging and recording sales tax, set tax defaults, and view tax sales reports. The resource section of the Xero website is chockfull of useful information and wonderfully easy to browse. It includes small business guides containing expert tips on how to successfully run and grow a small business and provides useful guides for accountants along with interesting stories from accountants who are members of the Xero community. It allows you to explore ways to upgrade your knowledge with Xero training courses and webinars and browse its video library with tutorials, case studies, product updates, and other Xero novelties. You can learn more about Xero with the Xero blog and improve your business knowledge with inspiring podcasts. 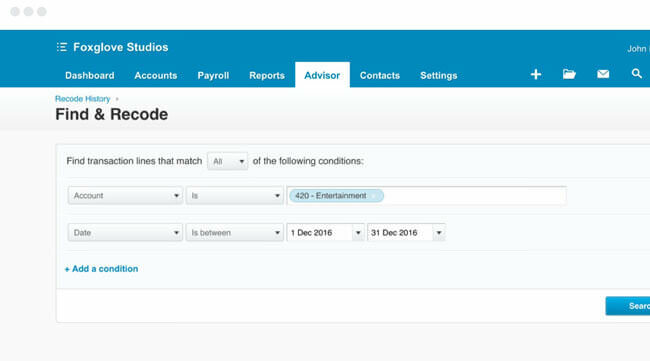 Xero even provides a reviewer guide that helps software reviewers better understand what Xero offers. If you have some questions, you can always turn to the Xero support. 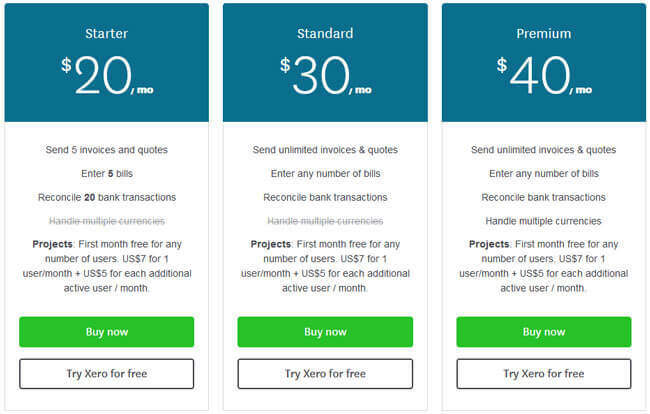 With Xero, you can choose between 3 plans: Starter, Standard, and Premium. The Starter plan costs $9 per month and allows users to send 5 invoices and quotes, enter 5 bills, and reconcile 20 bank transactions. With the Standard plan, there are no limits on the number of invoices, quotes, bills, and bank transaction reconciliations and the plan includes payroll for up to 5 employees. The price is $30 per month. The Premium plan costs $70 per month and apart from the benefits included in the Standard plan, it comes with payroll for up to 10 employees and allows users to handle multiple currencies. All plans come with a 30-day free trial. Making sure that your privacy and safety are preserved, Xero uses multiple layers of protection. All the personal and financial information you share with Xero is encrypted. Xero does not store your credit card information. The use of your personal information is limited to the provision of services and communication with you as a user. Your personal information is not shared with third party entities without your consent unless necessary to provide services or required by law. Xero goes to great lengths to protect you and other users, as well as its own network and servers, using firewalls, intrusion protection systems, and network segregation. Xero data centers are kept secure with the employment of security controls entailing round-the-clock monitoring and surveillance. From what we could see while going through user reviews, Xero is well-loved software with many satisfied users. What most people like about Xero is that it is web-based, highly functional, and easy to use. While many users have absolutely no complaints, some believe that the mobile apps and payroll feature may need some tweaking, which is something we agree with. However, there are users who find that the mobile apps are easy to use, so it may be a matter of preference. Complaints related to customer support are surprisingly uncommon in comparison to Xero’s competitors. From our experience and the experience of numerous users, the members of the support staff are friendly, patient, and knowledgeable, so do not hesitate to reach out to them in case you need help. Xero is accounting software designed to make accounting easier for small businesses and it does this job magnificently. While it may not offer certain advanced features that some of its competitors provide, it does boast an excellent set of tools that can perfectly satisfy the needs of its users. Its usability combined with smart accounting solutions and great security make it one of the best choices for non-accountants. Our ratings are the result of an objective and independent evaluation of Xero, generating the final rating that reflects the overall quality of the company. Ratings may change as the service changes. Xero user rating based on 4 user reviews. Easy and simple, works perfectly, it took me no time to get used to it. I warmly recommend it. The mobile app is seriously lacking features and the Premium plan is insanely expensive, I don't get why multi-currency option is only available if you get the largest plan. I hate accounting as well as accountants. Xero turned out to be a great solution for me. No fuss, no complicated features, click, send, import, export, all simple and elegant. It may not be the best, but it is the best for people who don't want to spend another lifetime learning about accounting and just want to get the job done. There’s no Xero coupons or discounts right now. If you like Xero but aren’t sure whether they are truly the ideal choice for you, you may want to take a look at our comparisons below to discover if one of their competitors is more suitable for you.